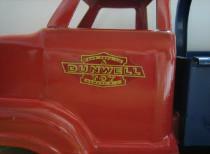 It all began with the Dunwell Metal Products Company of Clifton, New Jersey. 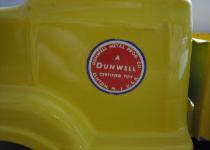 style of the door decal to a gold-colored elongated design. 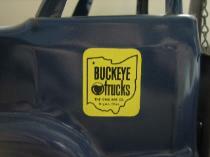 “Buckeye” trucks and used a paper stick-on yellow logo. rear axles instead of the more attractive dual axles. constructed with lasting quality. 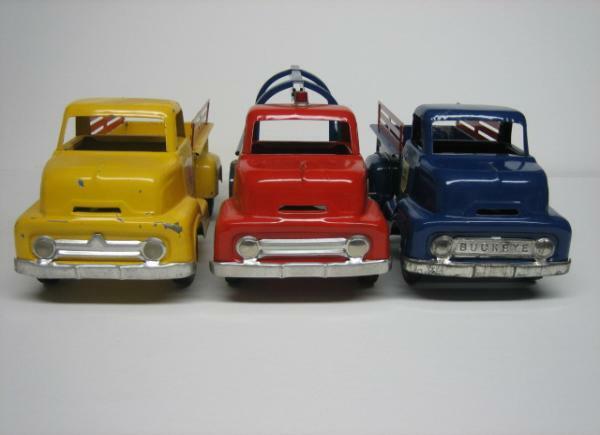 A truly great American toy. common. This one is on a Fame Auto Wrecker.